Many years ago, when I was training seriously for the Long Jump, I used to travel into London each Sunday for training sessions. During the winter these trips featured a Monthly Test designed to monitor our progress. I was part of a large “jumps” group used to congregate from a number of different clubs. There were exponents of Long Jump, Triple Jump and High Jump; both Male and Female; representing a range Age Groups (of which I always felt I was at the bottom end). Most weeks we met at the glamorous setting of Wormwood Scrubs (at what is now known as the Linford Christie Sports Centre) but on special occasions, we met at Crystal Palace, the centre of UK Athletics at the time. 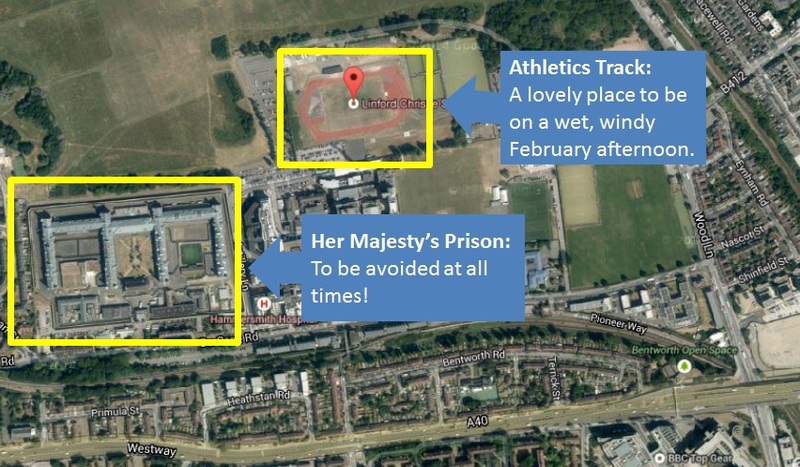 Wormwood Scrubs… a great day out! The monthly tests focused on strength and endurance. Each set of tests culminated with the dreaded 300 metre run: To be a good jumper you need to be able to run quickly and in a controlled fashion for about 30 metres. 300 metres was therefore way over distance, and a real test of stamina. It was quite different from a straight sprint both physically and mentally. If done properly, it hurt… a lot! My strategy for the 300m tended to be to go out fast (down the back straight), to cruise around the bend, and then to use what I had left in the home straight. It was conservative, but guaranteed that I’d have strength to finish in one piece. On one particularly memorable Sunday we had met at Crystal Palace for a technique session with a specialist Jumps Coach. After the technique session we prepared for a 300m test to round the afternoon off. I was in a small group of athletes from my home club which included a couple of junior internationals and my coach. We were highly competitive, but we all knew our place in the pecking order. I was comfortable being at the bottom end, the youngest and weakest. 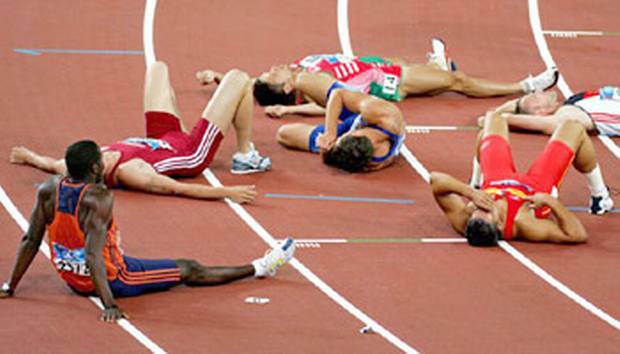 The pain and exhaustion of a typical 300 metre race! So, that’s what I did. I led the group out, running hard down the back straight to hold my position, to stay ahead. As I hit the 200 metre mark I kicked again, accelerating as I entered the bend. I drove my arms hard to keep my legs turning over. As the bend unwound I remained in the lead, wondering when people would start to come past me. As I approached the home straight I felt great. My confidence grew with every stride I stayed in the lead. As we straightened up I stood tall, feeling strong and relaxed, striding out smoothly. Rather than tying up and dropping back, I stretched my lead, crossing the line in first place. We didn’t talk much afterwards. The usual banter was missing as we all tried to recover. From my perspective not much needed to be said. In the great scheme of things the race didn’t matter, it was just a monthly test, one of many, but for me it was significant. The time wasn’t important either, it was all about how I felt, and I felt like I’d arrived, I felt great! I think it felt significant because I had put myself in the position to succeed through hard work (training up to 5 days a week) and because I had taken a risk that had paid off. The fact that I had performed well while in the spotlight was a bonus! It’s a feeling I remember to this day, and one that has rarely been repeated since. As we get older, it gets increasingly easy to “cruise around the bend”, to take things a little bit too easy and fall into bad habits. Unfortunately there are few people that will take us to one side and have a quiet word, to instil confidence in us, to encourage us to push ourselves, to “kick into the bend”. Try it occasionally… you might just surprise yourself! 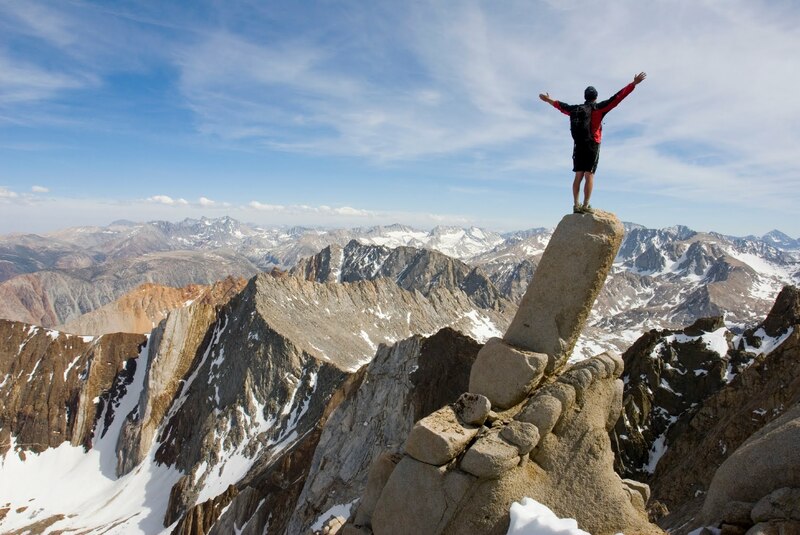 This entry was posted in Exercise & Fitness and tagged Athletics, Kick into the bend, Push Yourself, Take a risk, Training on June 28, 2014 by Paul Squire.